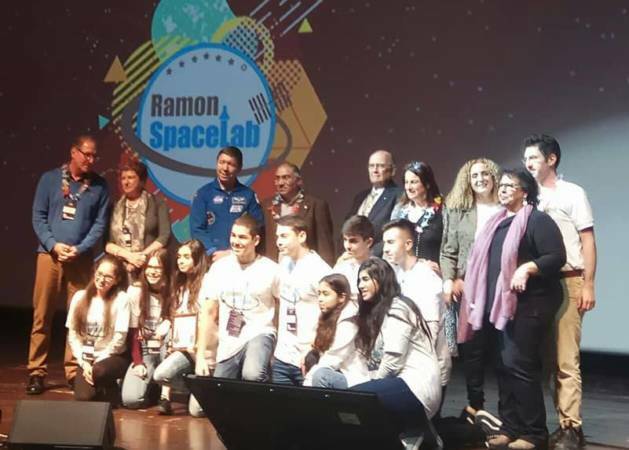 The Israeli space Week, celebrated these very days, is a peak period of activity and excitement for the students and teaching staff at Sci Tech Israel. One of the highlights is the Final Stage of the event. 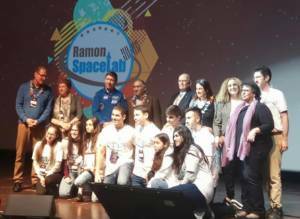 Ramon Spacelab is a leading Israeli educational programme dedicated to space exploration. This programme offers students a unique opportunity: to send their own experiment to the International Space Station, through a yearly programme of project- and inquiry-based learning. The programme, facilitated by a mentor from the Ramon foundation, culminates at the peak assignment: the competition for the chance to launch an experiment to be executed in the International Space Station. The participating teams present their experiment in the Finals event, attended by astronauts, government ministers, and senior personnel from NASA, as well as the Israeli Space Agency and other world-leading space agencies, who also act as referees. So far, over 15 different school experiments were sent to the International Space Station. 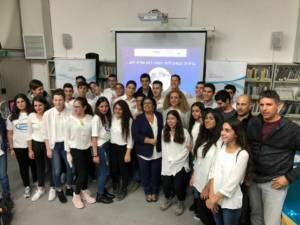 This year’s winners include a team of students from Sci Tech Dekel Vilnai Comprehensive High School in Maale Adumim, led by the principal of the junior high division of the school, Ruthi Cohen. The experiment they developed, called “Amrophiblast”, will be sent to the International Space Station to check the effect of micro-gravity on the amount of precipitation created by osteoblastic cells under the influence of amorphous calcium.